Lock in a great price for Baron Tavernier Hotel & SPA – rated 8.8 by recent guests! AWESOME VIEW, just wanted to stop the time and enjoy it. Cozy hotel and professional staff. Very comfortable room with everything you need. Comfortable bed, refrigerator, tv, good wifi, teapot. A lot of parking spaces outside, reserved for hotel and restaurant guests. 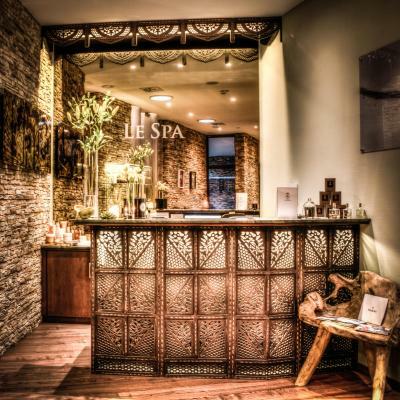 We booked two hours in the spa and very liked it after a day trip to Lausanne. The saunas (wet and dry) are great, also the pool and the loungers. You get towels, bathrobe and personal flip flops, so take only swimsuit with you. The lake view is fantastic! We had our breakfast, dinner and red wine on the balcony, it was romantic. Room is large and clean, full of sunshine. Love the restaurant, great food great location, but you need to reserve in advance. Spa but very short hours. 6 to 8pm for 50 francs. Very pleasant. View was fantastic! 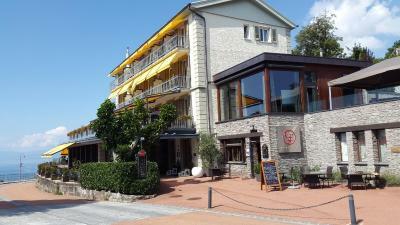 Good food and location practically in a wine yard. 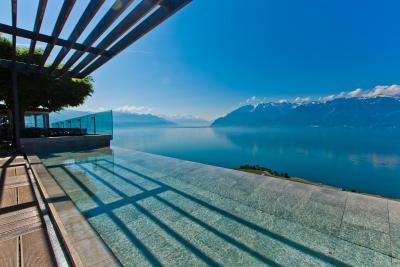 Amazing views over the legendary Lavaux terraces. Great spa facility (part of the reason we went there), extremely clean and well-maintained rooms, friendly service. 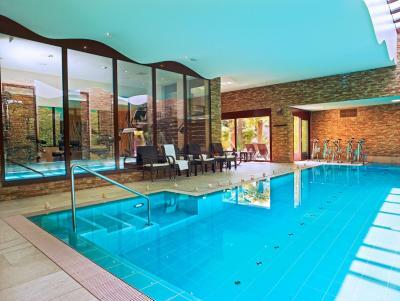 Baron Tavernier Hotel & SPA This rating is a reflection of how the property compares to the industry standard when it comes to price, facilities and services available. It's based on a self-evaluation by the property. Use this rating to help choose your stay! 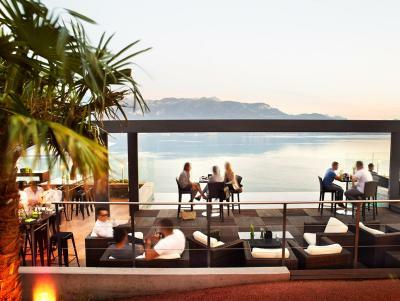 Baron Tavernier Hotel & SPA is set in Chexbres, surrounded by vineyards and the scenic Lavaux wine region and offers beautiful panoramic views of the Lake Geneva from its spacious terrace and a modern spa area. The elegantly decorated rooms and suites all have a private bathroom, a mini-bar, cable flat-screen TV, free WiFi and balconies or terraces. A luxuriously decorated dining area can be found in the hotel. A lounge bar invites guests to relax. The renowned restaurant and terrace Le Deck is open during summer and in winter, guests can enjoy the fine dining of Le Baron restaurant and the Le Bon Sauvage Bistro. The Spa, accessible for an extra charge, includes a 31°C warm salt-water pool, fitness rooms, a hot tub, a hammam, a sauna, relaxation areas and outdoor pavilions. Beauty treatments and massages are available at a surcharge. Guests can also relax in the on-site garden. A meeting room is also available at the property. 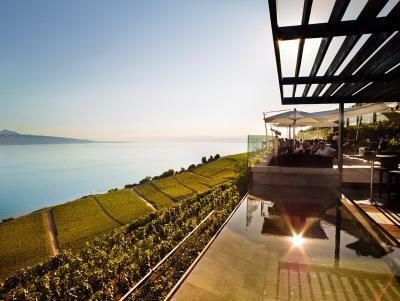 Guests can explore the picturesque town of Chexbres with its De Crousaz Castle from the 15th century or its various other historic buildings and the vineyard terraces of Lavaux which are a UNESCO World Heritage Site. Baron Tavernier is a 15-minute drive away from a 18 holes golf course and a 40-minute drive from the next skiing slopes. The towns of Lausanne and Vevey are reachable within a 15-minute drive. The Tavernier offers free private parking on site. This property also has one of the top-rated locations in Chexbres! Guests are happier about it compared to other properties in the area. When would you like to stay at Baron Tavernier Hotel & SPA? Spacious suite with a comfortable seating area featuring modern or elegant décor. 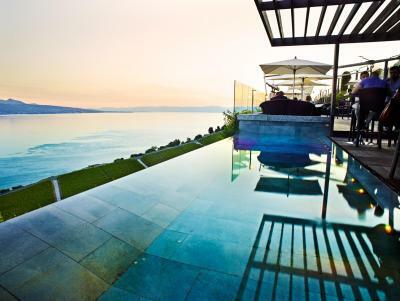 It also includes a balcony, with lake and mountain views as well as cable TV, mini-bar and safety deposit box. 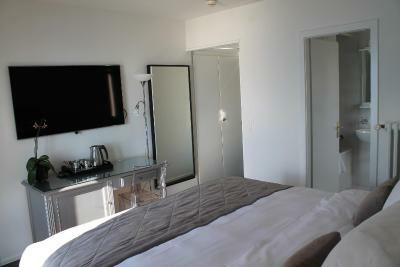 Spacious room with a balcony, as well as cable TV, mini-bar and safety deposit box. Some rooms come with a seating area and lake views. 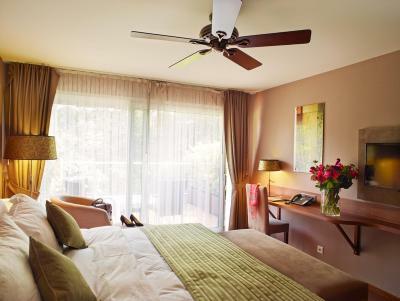 This room offers partial or direct lake views and a balcony. This room offers views of the valley and the forest. Please note that no extra bed is available for this room category. This suite has a seating area, a terrace and a bathroom with a shower and a bathtub. House Rules Baron Tavernier Hotel & SPA takes special requests – add in the next step! Baron Tavernier Hotel &amp; SPA accepts these cards and reserves the right to temporarily hold an amount prior to arrival. Baron Tavernier Hotel & SPA accepts these cards and reserves the right to temporarily hold an amount prior to arrival. The beds in the room in the Spa building (the part not facing the lake) are way too soft... The restaurant has normally good food, but don't order the "fillets de perche", a local Geneva lake fish speciality. There are much better places to eat them. We didn't like that fact that the price were changed - not a cool thing for such a wonderful place. We made a reservation almost two months before for one price and one week before our arrival it was dropped, So be attentive. The hairdryer should be replaced. The room was the smallest double room we have had in a good standard hotel for many years. The bathroom equally was underwhelming and tiny. There was only a tiny amount of room around the bed. 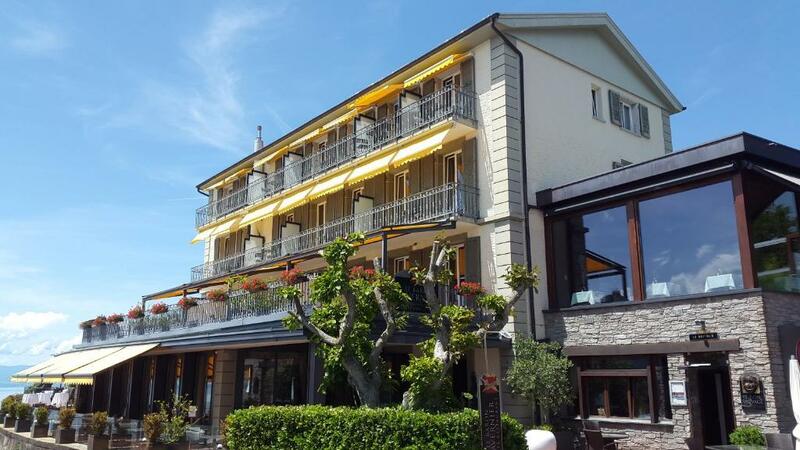 As there were only 6 people staying on our second night and only 4 ate breakfast, the hotel scaled back the breakfast offerings and still charged the same very pricy 20 CHF pp! Dinner was very good if a bit expensive, but not too bad compared to other good Swiss restaurants in the area. The Spa was very new and nicely kept but having to pay as a hotel guest is again unusual. i think the breakfast was a bit expensive considering other 5star places in Vevey provide more options like fresh eggs cooking... also, the bed was a bit soft for my liking but thats more of a personal preference. Restaurant very expensive, not good. Over-priced. Everythinh else was excelent. We didn t like the restaurant personnel, they should change the attitude. Great view though! 20CHF for breakfast seems like a lot but we havent tried it so can t tell. We liked the place, the personnel, the SPA (great pool and very qualified people). Very convenient to have access to the parking. Old room. Very old bathroom. I like panoramic view. 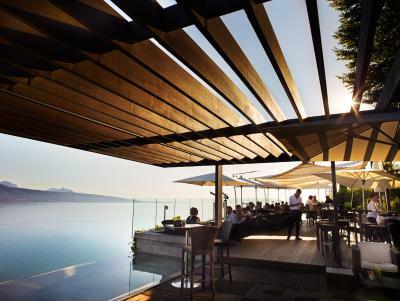 The restaurant La Deck. Excelllent staff. Reception welcoming, waiter knowledgeable, efficient, friendly and suggested lower tip as was not expected! 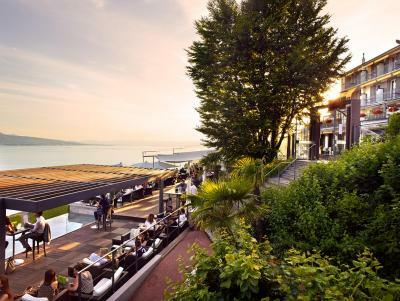 - spa that isnt included in the prize, which doesnt say so clearly enough while booking, and even so, if you travel for business, you cannot have it incl in your bill - spa opening late and closing early - EXTREMELY noisy, you can hear everything your neighbor is doing - no AC, but not even a fan during summer.. The staff at Le Deck restaurant was not friendly. And one of them was extremely rude - he not only missed one of our orders, but also blamed it on us and did not apologize at all. With the price you pay to dine at Le Deck, this is not the service we should have received.